Apple has now officially confirmed that the rumored March 21st event will be taken place as expected, so now, as is usually the case at this time of year, it’s time once again to focus on the next-generation iPhone which will be released this fall. Following on from a preview of what was believed to be the first third-party case manufactured for the iPhone 7 last week, we’re now seeing a number of additional leaks, one of which purports to show a technical drawing of the chassis that gives additional insight into the structure of the iPhone 7. 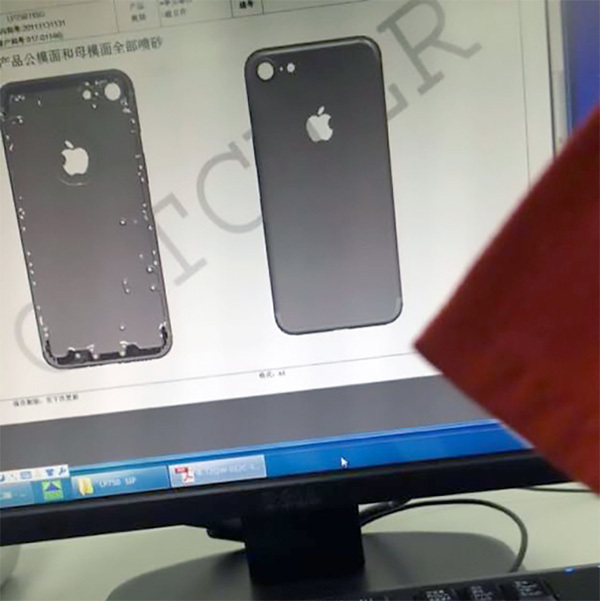 The leaked images claim to show what is allegedly the rear panel of Apple’s next-generation iPhone, the iPhone 7. We’ve previously heard speculation about Apple inventing a new type of metal alloy that would essentially allow the company to come up with an aesthetic that would completely remove the existing antenna lines on the device. This particular image, which has made its way into the public domain, almost echoes that design direction. 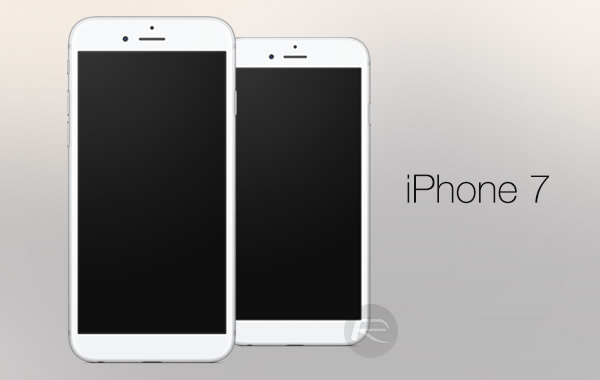 We never really expected the antenna lines to completely go away, and as seen in the leaked images, the horizontals lines that run across the width of the iPhone 6s and iPhone 6s Plus have been removed, while the lines wrapping the curve of the phone at the bottom and top remain in place. The source responsible for this leak has also emphasized that the leaked outer shell of iPhone 7 is much thinner than the iPhone 6s, which could mean Apple has decided to remove the 3.5mm headphone jack from its smartphones going forward. In light of this new leak, it was only inevitable that we come across a mockup of what the iPhone 7 could look end up looking like in all its glory if the new antenna design does make it to the production line. As imagined, it does give the device a more premium and cleaner look. 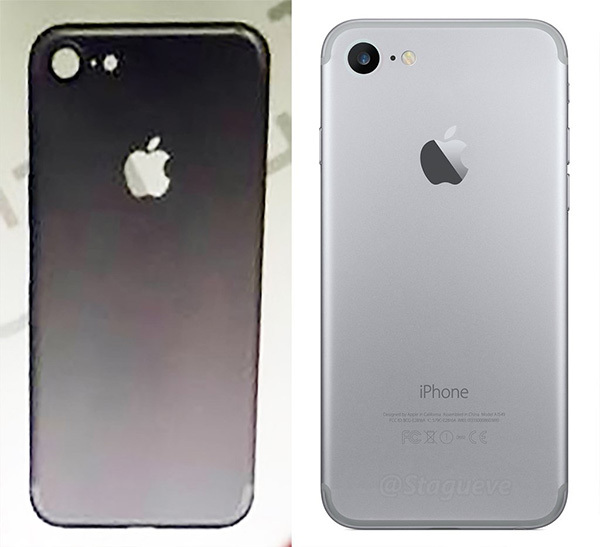 The removal of the antenna chassis lines is one immediate visual change when comparing the leaked image against the current iPhone design. However, there’s also more than meets the eye for those who look closely. The aperture that’s shown for the camera module looks noticeably bigger than that of the current iPhone 6s model. That provides us with an indication that the iPhone 7 could indeed ship with an improved type of camera. According to this leak though, it doesn’t look like the change will include the highly discussed dual-camera system that could be exclusive to the iPhone Pro, but some major kind of change is still coming from a camera perspective. The release of the iPhone 7 will undeniably be one of the hottest dates on this year’s consumer tech calendar. Currently, most of what we think we know about Apple’s next major revamp of the iPhone is merely speculation, with only a marginal amount of evidence to back it up. As we get closer to an actual announcement, it is likely to significantly change as we see additional leaks from supply chain partners and the assembly line. My prediction is that six months of leaked images and concepts of the next iPhone will dominate the stories on this site. It’s Vista! Even more legit!